A prominent liberal South Korean politician embroiled in a corruption scandal was found dead on Monday. 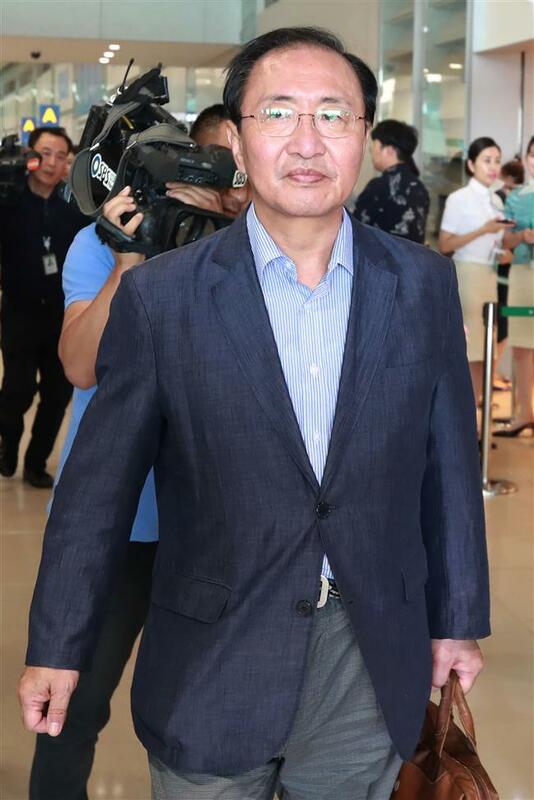 This photo taken on July 22, 2018 shows Roh Hoe-chan, a three-term lawmaker of South Korea's left-leaning Justice Party, arriving at Incheon international airport, west of Seoul. A prominent liberal South Korean politician embroiled in a corruption scandal was found dead on Monday, police said, in what appeared to be one of the country’s highest-profile suicides in years. “Dear fellow citizens, I’m sorry. It’s entirely my fault, so please punish me and I’d like you to continue to support the Justice Party,” Roh said in a note addressed to party members. He said he accepted 40 million won (US$36,260) in 2016, but without granting any political favors in return. South Korean media reported that Roh wrote two other suicide notes to his family but their contents weren’t made public. Roh faced a probe over an allegation that he received money from an associate of an influential blogger jailed in an online opinion-rigging scandal. The allegation tarnished the clean and reform-minded image of Roh, a former labor activist who has been a symbol for progressives.